In our constant search for products to cater to your angling passion, we are pleased to ship in our OEM Hybrid Ceramics BC Spool bearings. 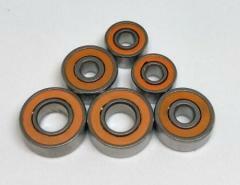 Due to sensitive commercial reasons, the bearings will not be labeled and branded. Yes, the bearings are made in China. 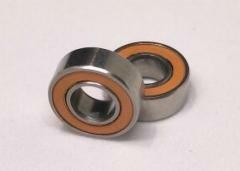 However, rest assured of the quality control (QC) of the bearings. Ceramic Orange Seal Fishing Reel bearing kits are an upgrade replacement for stock BC reel bearings. These ABEC7 bearings have ceramic balls with stainless steel braces and retainers. Orange Seal bearings have a non-contact rubber seal which allows the bearing to spin freely without any excess drag. Ceramic will never corrode; it has less rolling resistance and is lighter than steel. 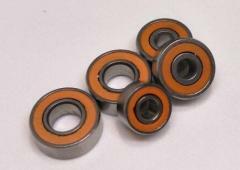 As a result ceramic bearings last longer,cast longer and is smoother. 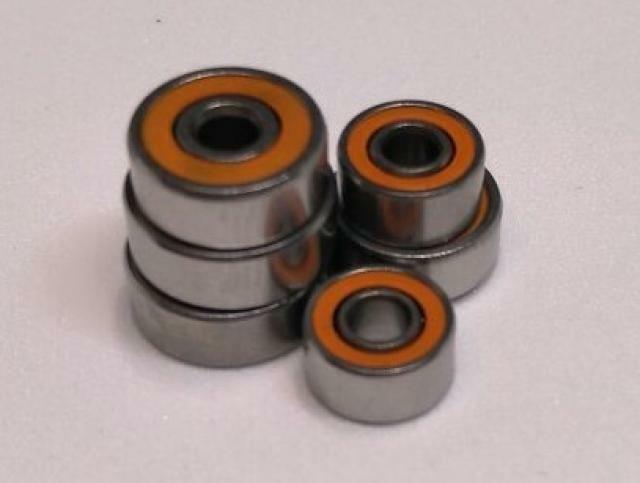 All our Hybrid Ceramic Orange Seal fishing reel bearings are supplied cleaned of oil or grease and lube dry. DO NOT oil or grease them. Maintenance is easy. Bearings size available for most Daiwa, Shimano, Megabass and Abu Garcia BC reels. Now, we are offering a special launch price of only $28/pair inclusive of normal postage in Singapore. Not cool enough? Steady! We will offer a one to one replacement for any defective bearings for the first 30days. Just pass the faulty bearings back to us. Swee boh? Hurry, contact us now and hear your reel scream soon!